These REDTOP® batteries are receiving their very first charge and soon will be labeled for public sale and distribution. When they receive their labels, one of the items mentioned on the label is the length of warranty. The vast majority of OPTIMA® battery users are normal consumers and their warranty term will be three years free replacement, with no pro-ration fees involved. However, some applications tend to be much harder on batteries and for the folks who use our REDTOP batteries in commercial applications, the warranty is only one year. Since REDTOP batteries are SLI (Starting/Lighting/Ignition) batteries, they are not designed for deep-cycle use and carry no warranty coverage in those applications. There are some other terms and conditions, which you can read in great detail here, but the bottom line is, if the battery is defective because of something we've done (or failed to do) on our end, we'll replace it for free during the warranty period. The truth is, if a battery does have a manufacturing defect, it will usually show up well within the first year of use, if not the first month. If that's the case, why do some batteries have such long warranties? 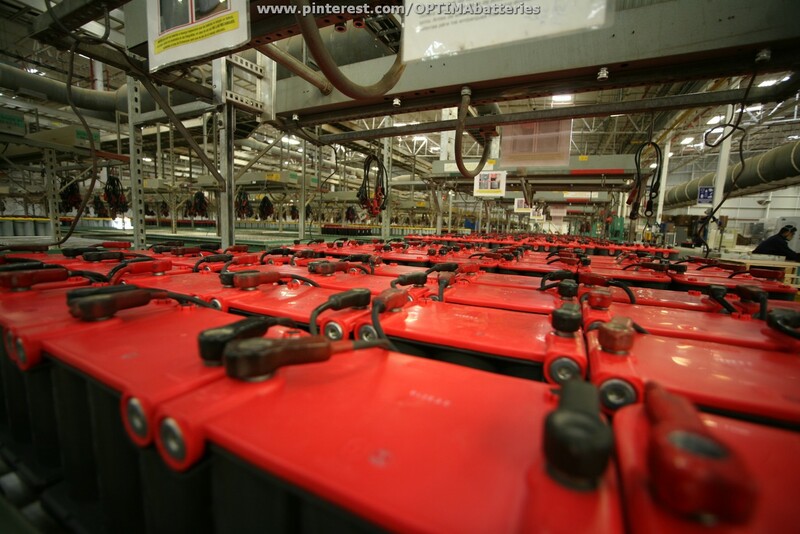 Battery warranties are primarily a function of marketing. Companies know all consumers like some reasonable level of assurance that they are buying a quality product and having a warranty that lasts for several years generally sends that message. There are even some consumers who base their entire purchasing decision on the length of warranty, as they equate warranty length with product quality, although that isn't always necessarily the case. In the case of some car batteries, the only difference between some cheaper options and more expensive counterparts are the length of the warranty. Take a look at this list of car warranty terms and you'll see some interesting differences between the brands. While the luxury and exotic brands may offer basic and powertrain warranty coverage with unlimited mileage, they only offer that coverage for a few years. On the flipside, some brands on the low end of the price spectrum have basic warranties that last up to five years and powertrain coverage that goes all the way out to ten years. Would consumers buy those less expensive cars with as much confidence, if they didn't include such extensive warranty coverage? Is the paint and body work on a sub-compact car really twice as good as what might be found on a luxury sedan that only offers half the warranty coverage against corrosion? When it comes to car batteries, many marketing campaigns trumpet "7-year warranty" in their sales literature. While that sounds really impressive, many of these longer warranties are pro-rated, which means a consumer must pay a fee to have their battery replaced under warranty. How do pro-rated warranties work? Let's suppose a battery has a five-year warranty, with the first two years offering free replacement. That means if the battery fails anytime within the first two years of service, it is replaced for free. After those first two years, a pro-rated fee is assessed for the replacement. However, the pro-ration is typically calculated from the date the battery was sold. If the battery cost $100, the pro-ration fee over those five years (60 months) is $1.67 per month. That means if someone needs a warranty replacement in their 25th month, which would be just outside of the free replacement warranty, they would have to pay $41.66 for a pro-rated replacement. Meanwhile, if that person had bought a battery with a three-year, free-replacement warranty, they would get a free replacement for all 36 months, with no pro-ration. By the time they get out to the 36th month, the pro-rated fee would be $60.12, while the person who bought the battery with the 36-month free replacement warranty is still eligible to get a warranty replacement at no additional cost. Does that mean if you had two pro-rated replacements over 36 months, you could've ended up spending $111.78 replacing a $100 battery? Better read the fine print and find out! Battery warranties generally have a lot of terms and conditions. Most describe what is covered and what is not and how to go about getting service. One thing many folks don't realize when they purchase a battery, is that the warranty coverage doesn't re-set with each warranty replacement. That means if you bought a battery with a three-year free replacement warranty on January 1, 2014, that warranty coverage ends on January 1, 2017, no matter how many times your battery was replaced under warranty during that period. Re-setting a warranty with each replacement would essentially result in a lifetime warranty and the last company we heard of, who offered such coverage on batteries they sold is no longer in business. Another warranty condition that many folks aren't aware of, is that warranties generally are honored and serviced only by the retailers who sold the product originally. We run into this situation quite a bit, as folks try to scour the Internet for the best deal possible. After combing through multiple pages, someone finds a site that is $5 cheaper than their local retailer and offers free shipping. That may sound like a win/win, but if that battery ever needs warranty service, it will probably need to be returned to the original retailer for that service. When that happens, it's usually on the customer to get the battery shipped back. Even then, many batteries suspected of being bad are just deeply-discharged, so the customer could end up having to pay for shipping both ways, just to have someone charge their battery for them. For those reasons and lots of others, it's a good idea to read the warranty terms and conditions of any battery you are considering, before you make a purchase. Did you know some battery warranties are voided if you discharge your battery below a specific minimum voltage level or you use a battery charger that isn't specifically mentioned on an approved list of chargers? We didn't do that with our warranty, but that's why it's always a good idea to check the warranty before you buy. We also see an increasing number of used batteries being sold online in Facebook groups, Craigslist ads, eBay auctions and elsewhere. Some of these batteries can be tremendous deals, but buyers should know that OPTIMA battery warranties are not transferable and are only serviced by the original retailer. That means the battery an individual is selling as "brand-new" on a Facebook classified group may have never been used, but unless the person selling the battery is personally offering warranty coverage, that battery is considered "used" once it is re-sold and carries no warranty coverage. Our customer service center gets contacted on a regular basis by people who bought a used battery online, couldn't get warranty service anywhere and could no longer find the person who sold them the battery. If that sounds like a scenario you'd like to avoid, buy factory-direct. We'll keep a record of your purchase in our system for the full duration of your warranty, just in case you need help.